Originally kitted by Sig Manufacturing in 66 this design is a semi-scale model of this great World War 1 fighter, the Black Hawk Models Fokker D-7 features a profile fuselage with built-up wings. 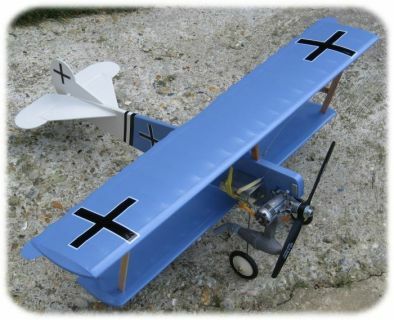 It is designed to out perform traditional stunt models. You will want to add this bird to your flying circus! This page was printed from www.densmodelsupplies.co.uk on Monday 22nd April 2019 at 11:55 pm.